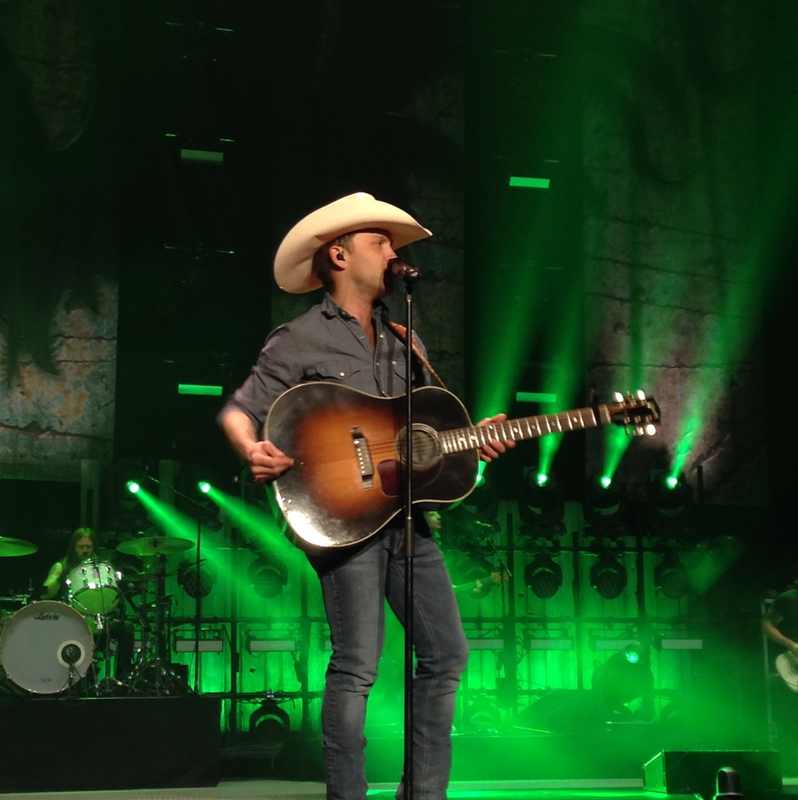 Opening for Miranda Lambert on her Certified Platinum Tour, Justin Moore stole the show Friday night at the DCU Center in Worcester, MA. Following a low energy, albeit solid, performance from Pistol Annies member, Ashley Monroe, Moore got the crowd rocking with his blend of twangy vocals, rocking guitars, and powerful stage presence. In the hour that he played Moore showcased every reason why, pound for pound, he is one of the best performers in country music. 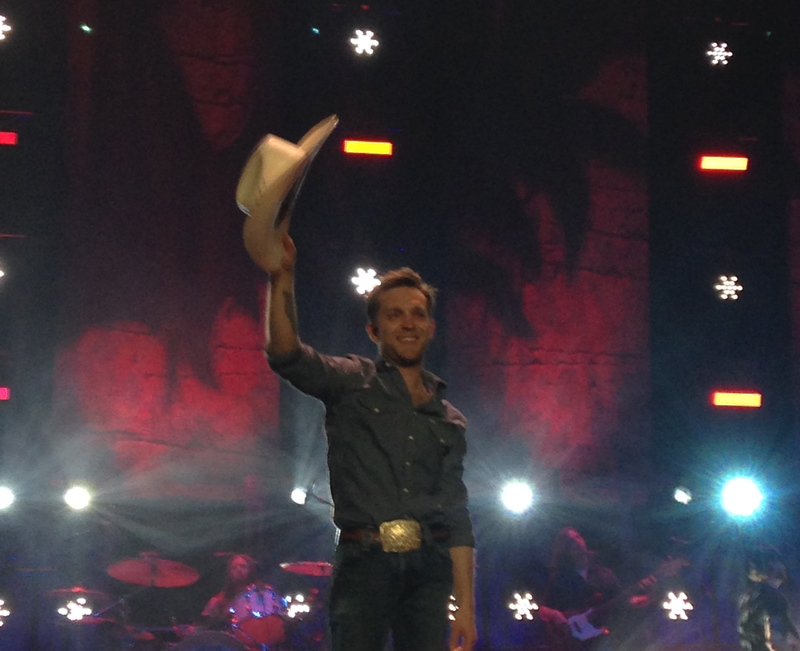 Coming out in jeans, boots, and his signature cowboy hat, the Arkansas native engaged the crowd early with “Point At You” and “How I Got to Be This Way.” Moore moved around well, spending almost equal time in all three of the stage’s wings. Different than many artists who can struggle vocally when getting active, Moore was fantastic hitting every note with ease and also letting the crowd join in on almost every song’s chorus. After playing his 2012 no. 1 hit, “Til My Last Day,” Moore slowed it down with “If Heaven Wasn’t So Far Away.” Prior to beginning, Moore gave a heartfelt speech about the emotional track mentioning his coping with the loss of his grandfather. He then asked the crowd to get on its feet, a rarity he said, before telling people to hold their lighters or cell phones up and dedicating the song to the victims of the Boston Marathon Bombings. Looking around, it was incredible to see the entire arena lit up by cell phones as Moore sang what might be the best song of his career. Following the lengthy ovation after “If Heaven Wasn’t So Far Away,” Moore got rowdy with “Bait a Hook” and “Small Town Throwdown.” The latter of the two he prefaced with a monologue about how blessed he feels to be successful and to have had three top five singles in the past year. In the speech Moore also mentioned his recording of the Motley Crue’s “Home Sweet Home” and treated the crowd to a few lines of the rock ballad. In a night filled with fantastic moments, seeing Moore hit every note without musical accompaniment may have been the best. Moore finished his set with “Lettin’ the Night Roll and “Small Town USA,” both of which got the entire crowd involved. “Lettin’ the Night Roll” was highlighted by an arena-sang chorus to close while “Small Town USA” was capped off with another speech from a grateful Moore who talked about how thankful he is that his family can have their dreams come true because of his success, fueled by his fans. Overall the performance that Justin gave was one of the best I have seen in a long time. Considering he only has an hour every night, he makes the most of it. His energy on stage and the way he moves about it engages every single person from the pit up to the nosebleeds. 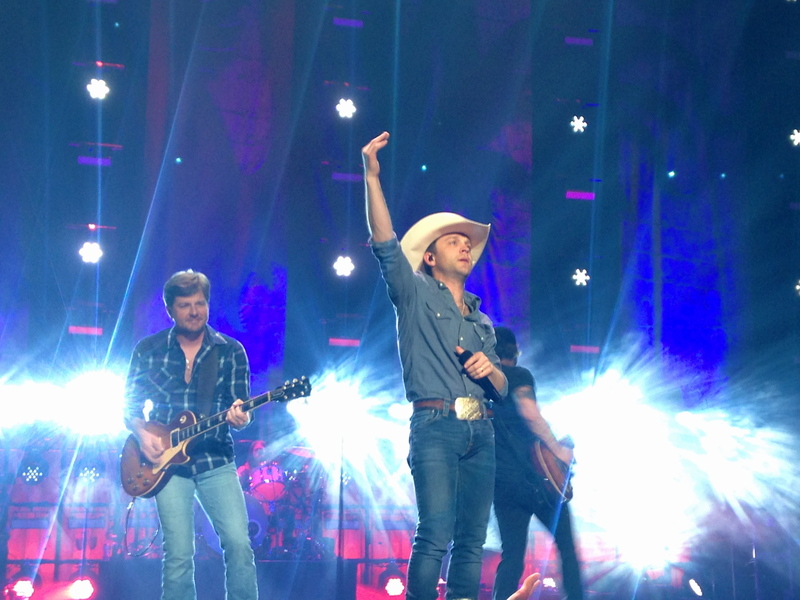 If you want to see a true country act that encapsulates everything great about traditional and modern country music, there is no better than Justin Moore.